Astonishing water views from this beautiful condo located in the prestigious Tower 500 in Mystic Pointe. Very large 2 bedrooms and 2.5 bathrooms. Enjoys water views from every window. This convenient floorplan provides two master bedrooms with full bathrooms inside. Also half powder room for guests. Washer and dryer inside the unit. Tower 500 enjoys the best fitness center and spa of the island with an amazing pool overlooking the intracoastal. 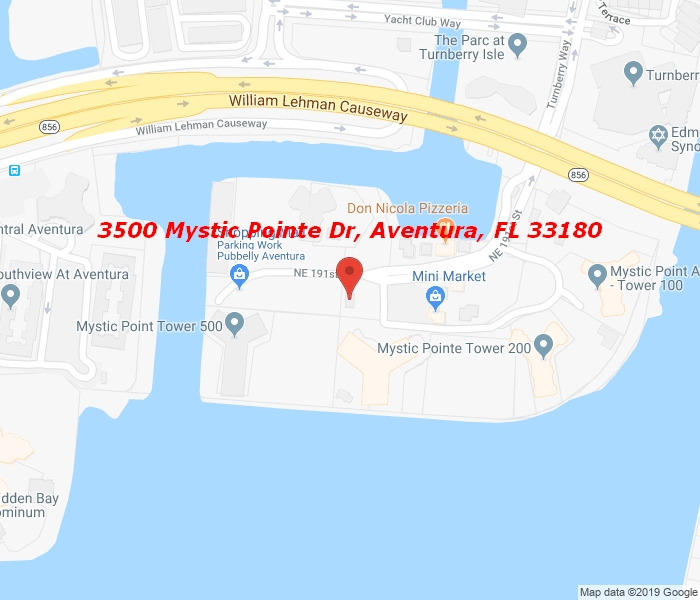 Mystic Pointe is an exclusive island in Aventura surrounded by water and marinas. Enjoys eight tennis courts, tennis office, perfectly maintained grounds, lake, and town center with restaurant, mini market and more. Steps from Country Club Drive, houses of worship and minutes from the Aventura Mall and Sunny Isles.